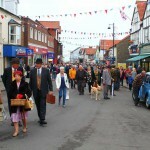 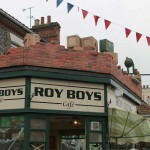 We decided this year it would be fun to participate in Sheringham 1940s Weekend, having missed all the entertainment in previous years, so Mrs B and I arranged sleepovers for the kids, hired costumes and made our plans to travel down to Sheringham. 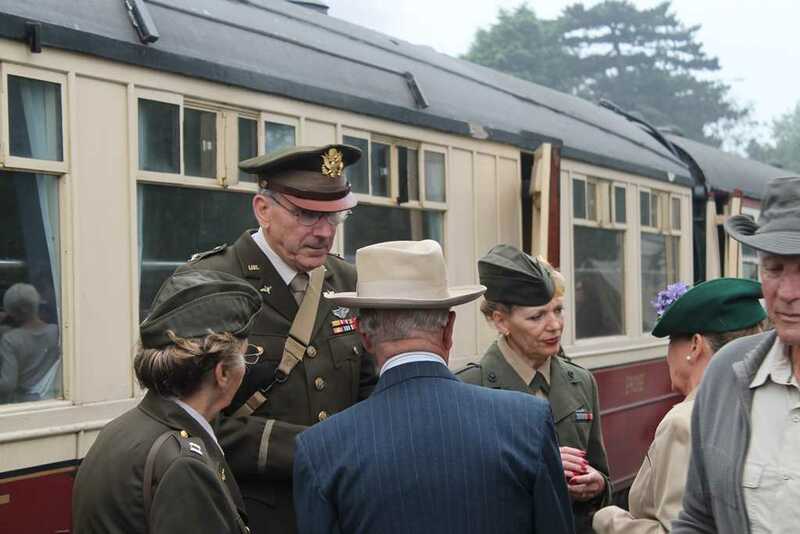 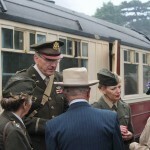 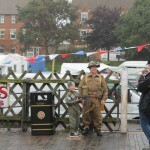 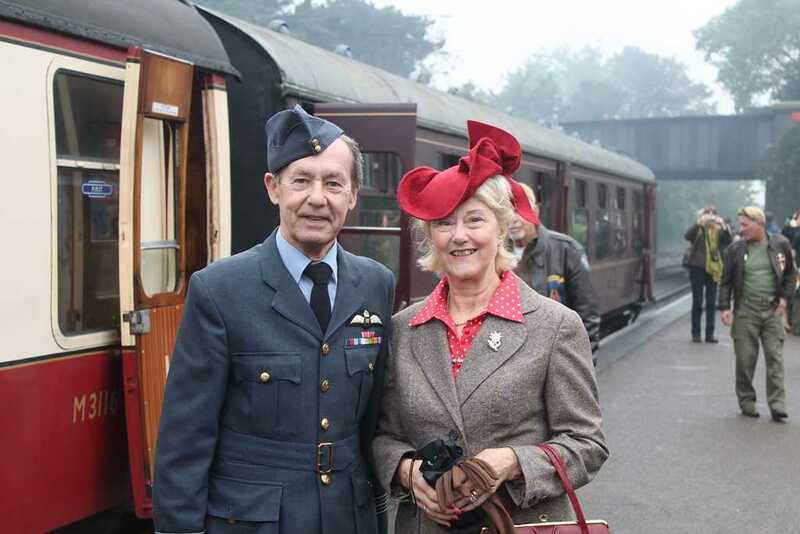 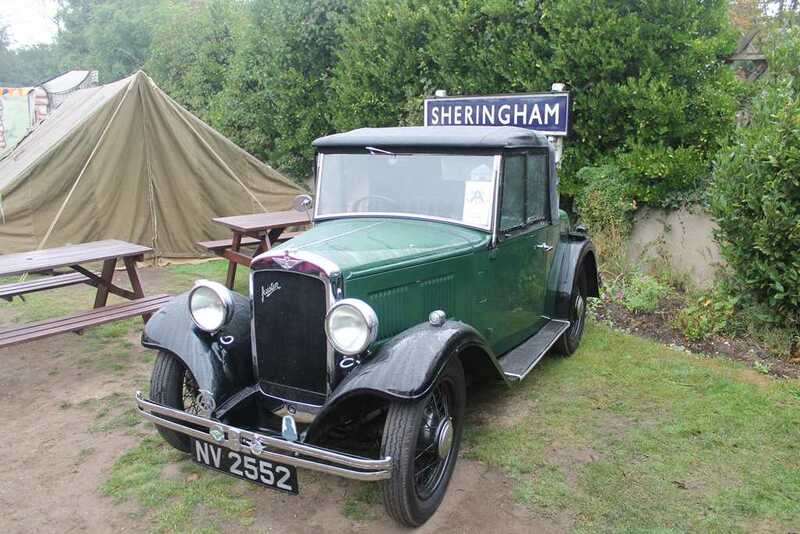 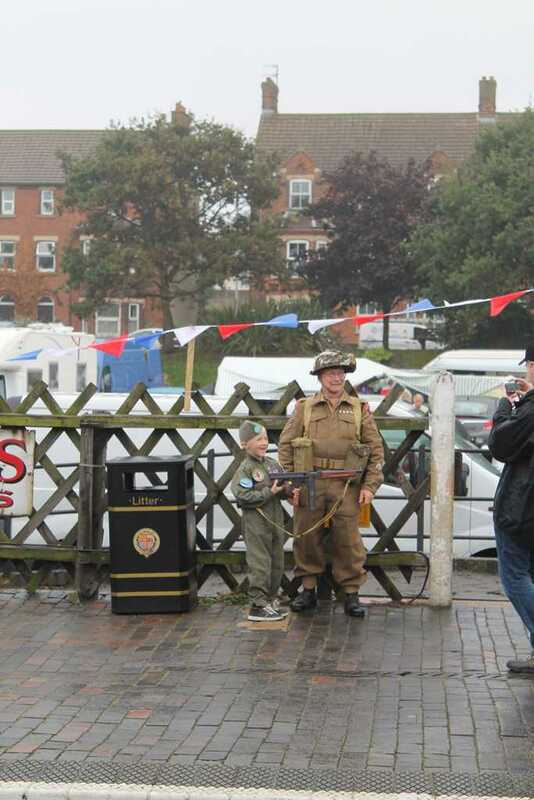 The event runs annually around the third weekend in September and is focussed on the North Norfolk Railway in Sheringham, the perfect location to host a 1940s weekend. 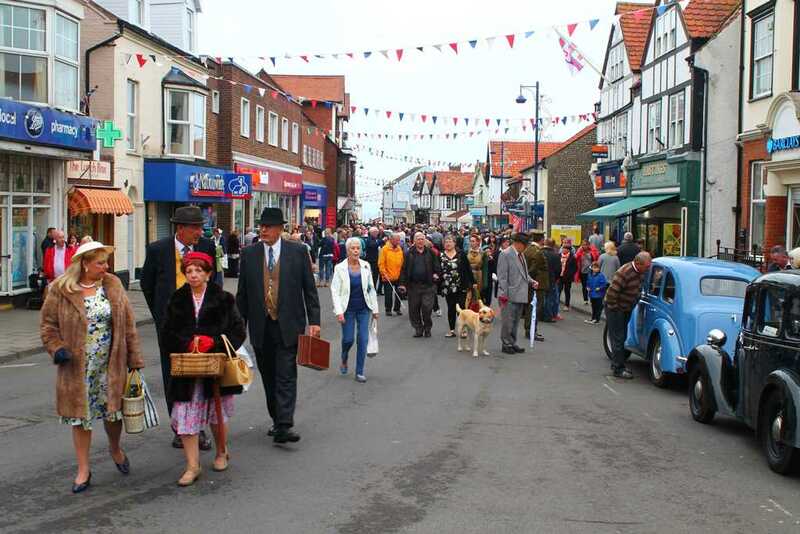 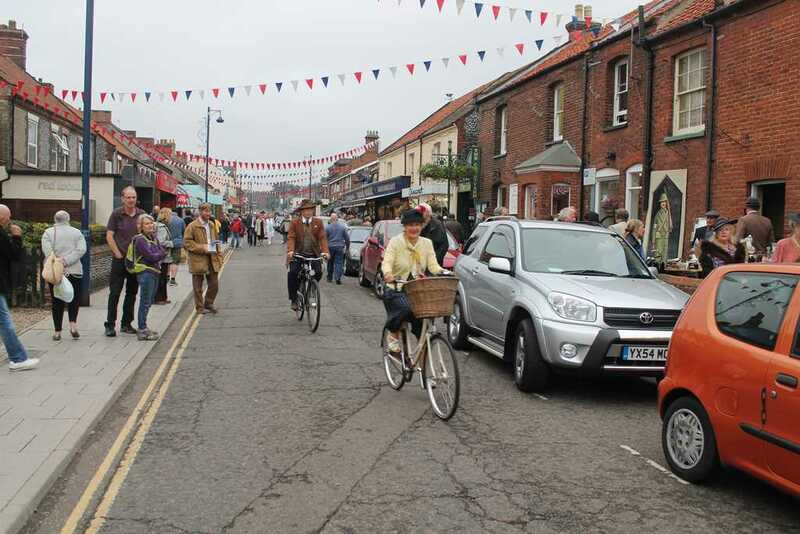 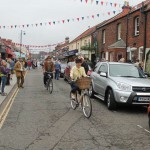 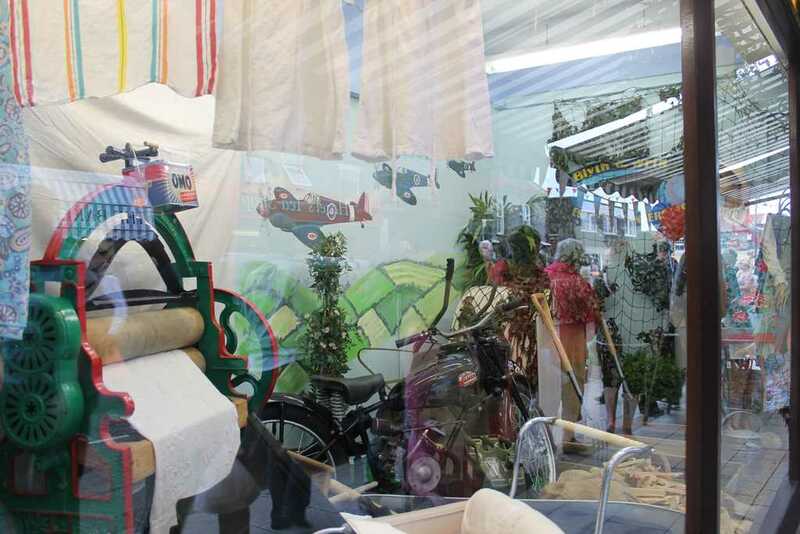 The event spills into Sheringham giving the weekend a real street party atmosphere, with the dressed up shop fronts, live music events in and around the local pubs and other activities dotted around town. 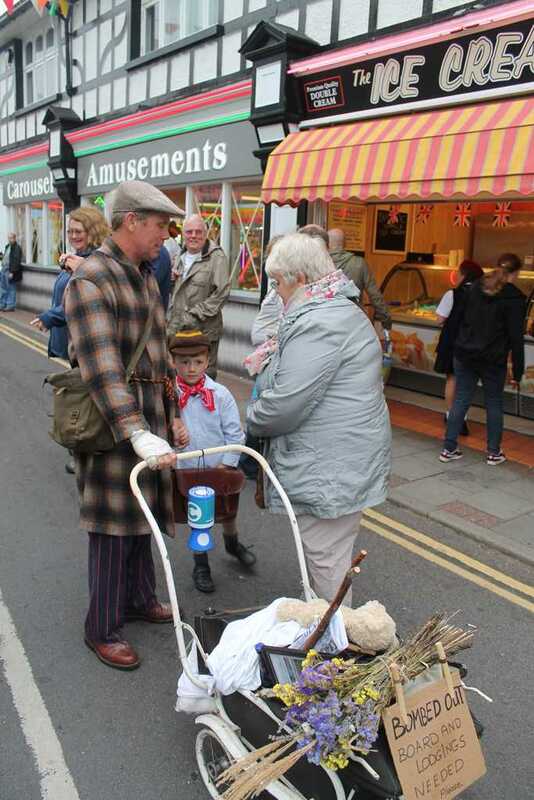 The party doesn’t stop in Sheringham. 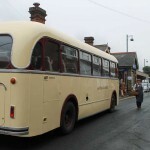 In addition to the steam service there’s a regular vintage bus service running between Sheringham, Holt and Kelling Heath, where additional activities are laid on. Our weekend started on Friday. 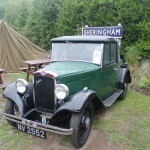 We drove down from Stockport to Norwich (to see my brother) and arrived in Sheringham around 6pm. 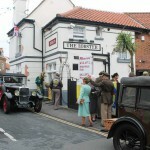 After a delicious meal in The Chai Yo we decided to pop into The Lobster for drinks. 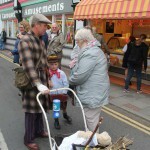 There was some excellent live music and a good proportion of the people there were already in costume. 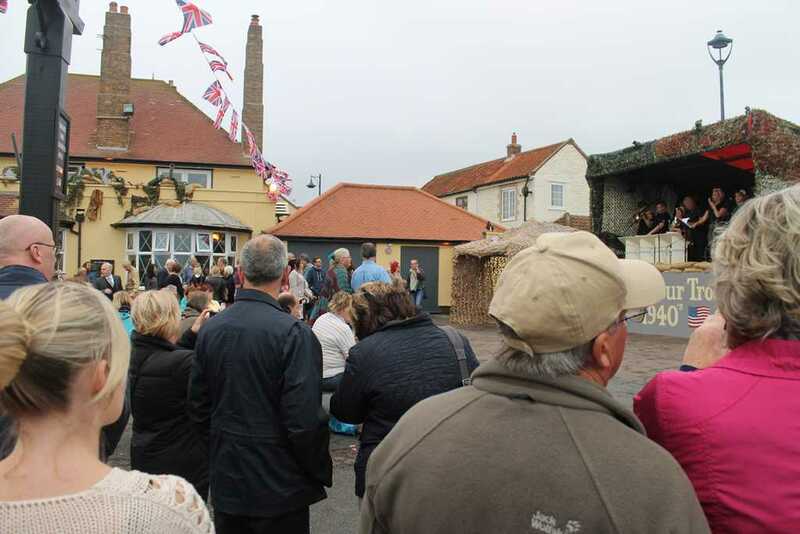 So we decided to pop back and get changed and spent a couple of hours enjoying live music and winding down after a hectic day’s travelling. 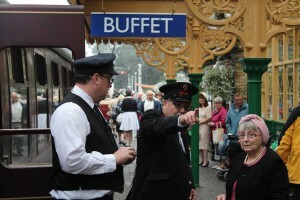 We arranged to meet my mum on Saturday at the station the following day so, after a scrumptious breakfast barm from The Submarine Cafe near the East Promenade and a brisk walk heading towards Weybourne to burn the excess calories off, we headed back to Sheringham, got changed, and headed up to the station to meet her by the bus stop. 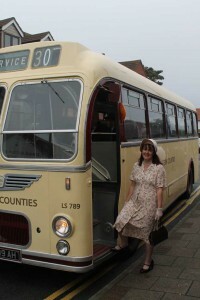 We almost caught the first vintage bus to Kelling by accident. Helen was posing for photographs at Sheringham Station next to the bus when the driver mentioned the free service up to Kelling. 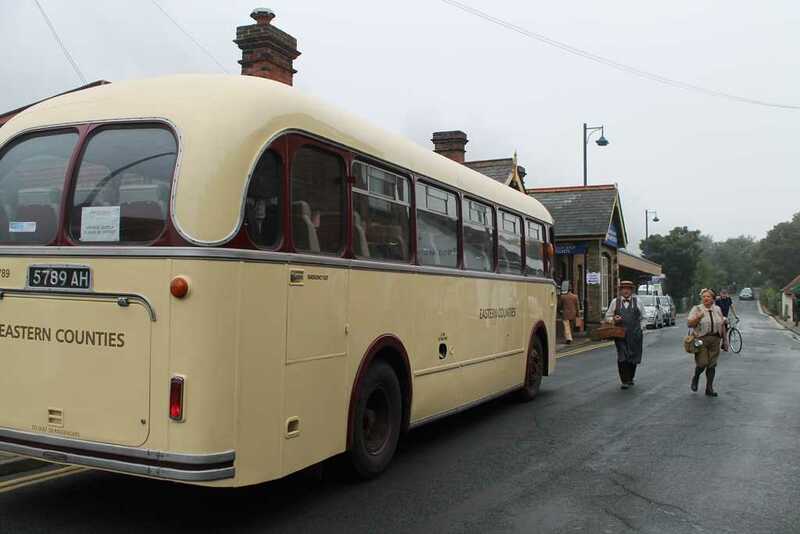 We all thought it was a good idea so postponed joining the festivities on the platforms and hopped on the bus, which headed towards Holt, picking up more passengers before stopping at its final destination, Kelling Heath. 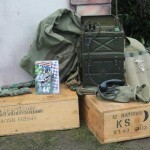 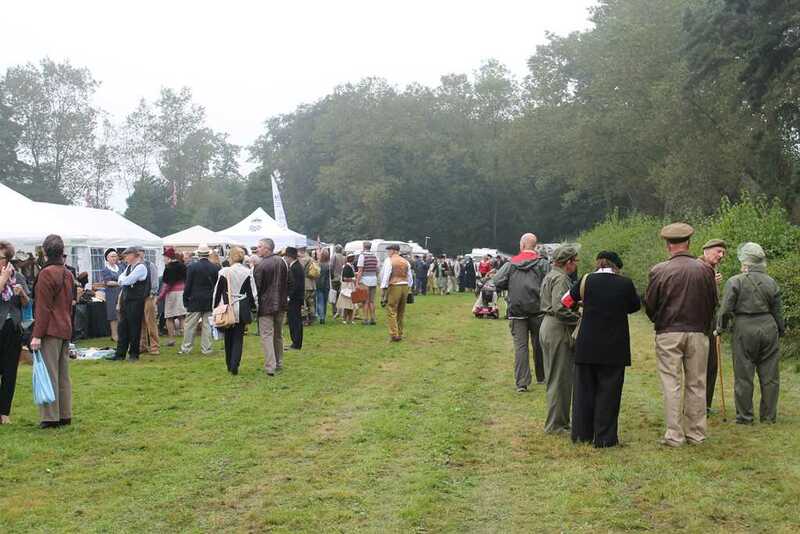 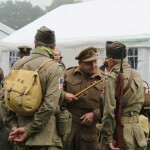 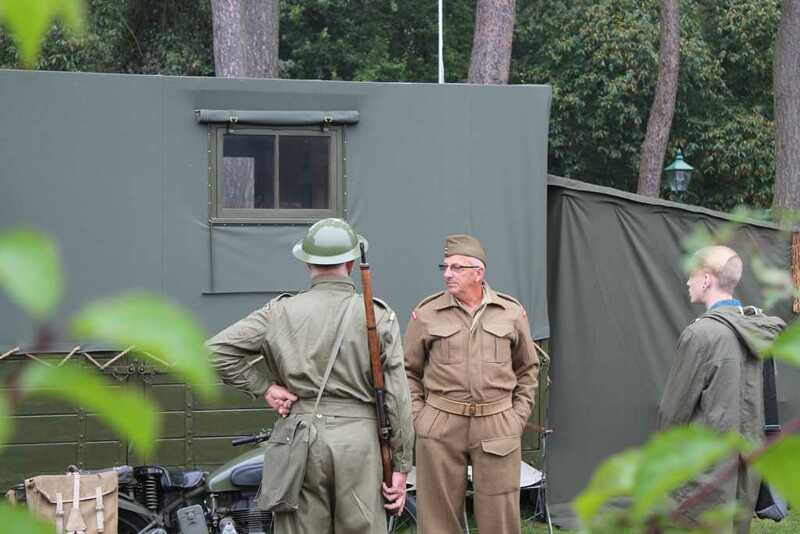 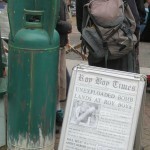 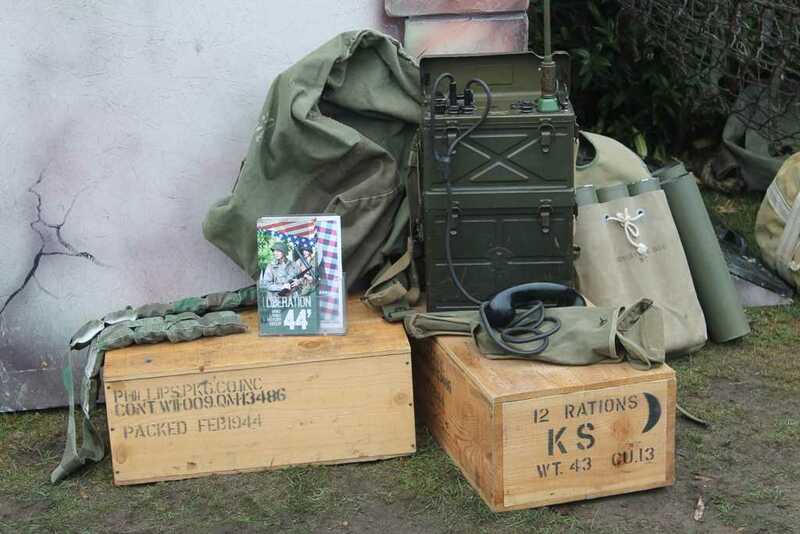 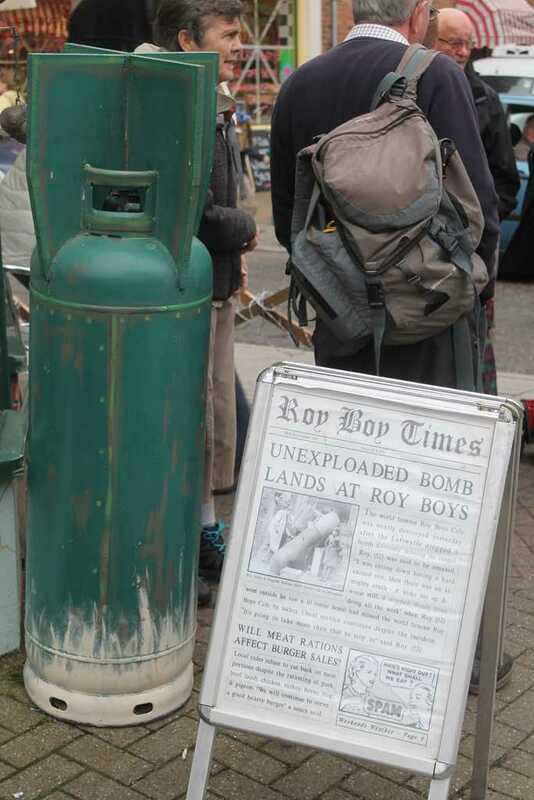 At Kelling they had vintage military vehicles on display and a variety of stalls selling period merchandise. 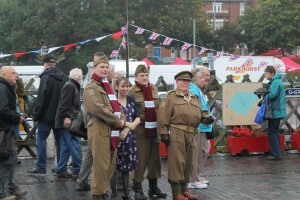 I was surprised at the sheer volume of people who had made the effort and had dressed in period costume. 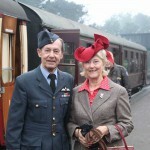 We headed back to Sheringham on a different bus (a Routemaster, I believe) and joined the celebrations on the platform. 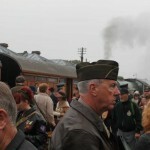 Normally you can walk onto the platform for free, but for this event they were selling platform tickets at £2 a pop. The Muddle and Go Nowhere Real Ale Bar Car was in attendance and there was live music and dancing. 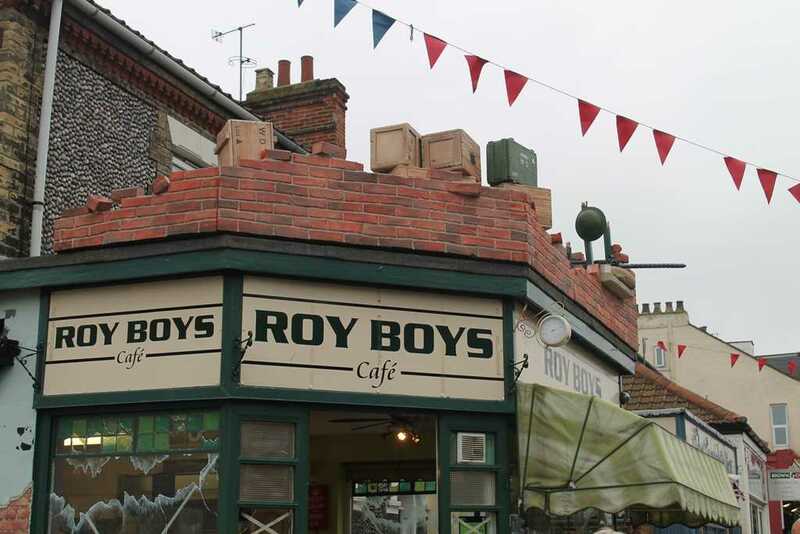 I spotted a group of people who looked suspiciously like Dad’s Army lookalikes, and was delighted to find out that they worked for the Dad’s Army Museum in Thetford! 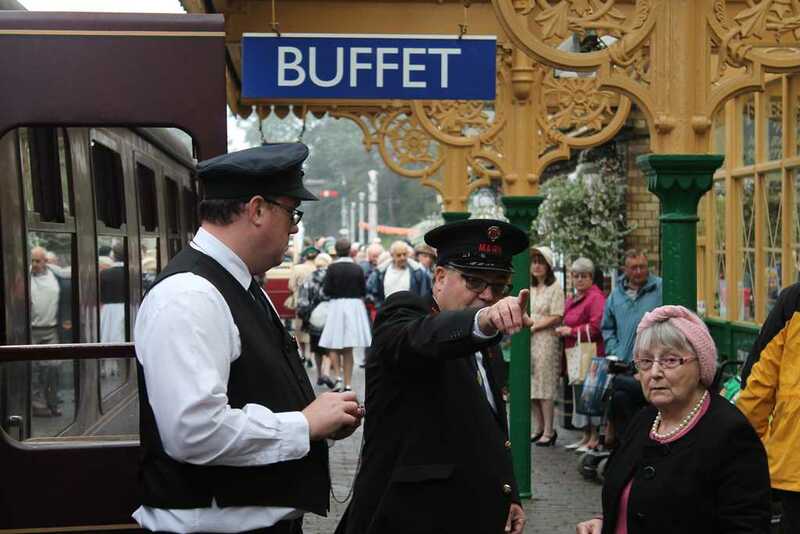 We met up with my brother and his family and decided that the platform was a little too busy for the baby buggy so headed down to the promenade. 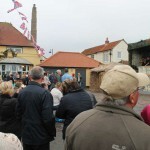 We were greeted by live music in The Crown car park, enjoyed by a considerable crowd. 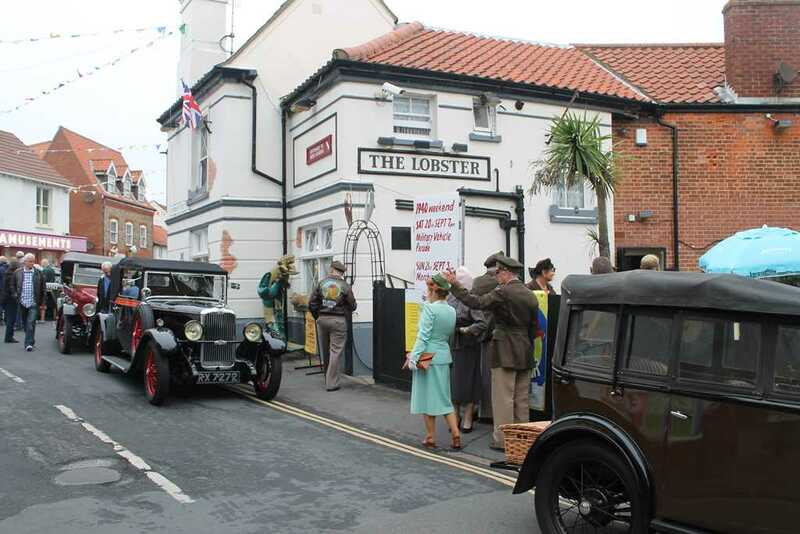 There was also jive dancing lessons outside Oddfellows Hall and the musicians who were playing in The Lobster on Friday evening were playing outside The Lobster on the street. 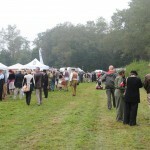 The occasional mild drizzle and mist did nothing to dampen people’s enthusiasm and, despite the best efforts of the elements, all the events were well supported. 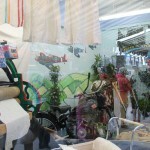 All in all a very enjoyable experience that we’d highly recommend. 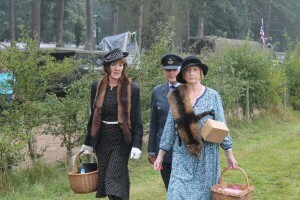 It is well worth the effort dressing up; you will not feel awkward (as I initially thought I would) and we got some appreciative glances. 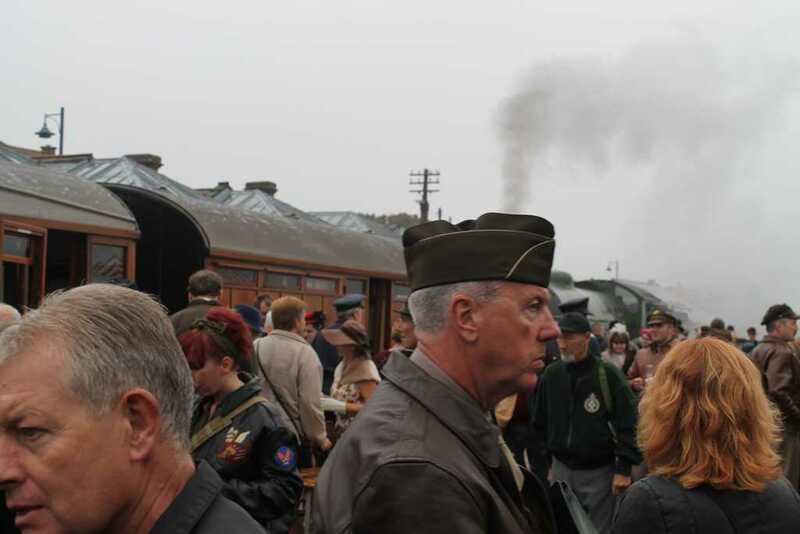 It needn’t be an expensive weekend, there is plenty to do by simply browsing as we did, though we would recommend going for the full-fat experience by adding a steam train ride if you get the opportunity. 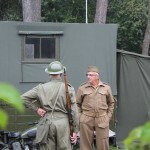 Please check out our video and photographs from the event below. 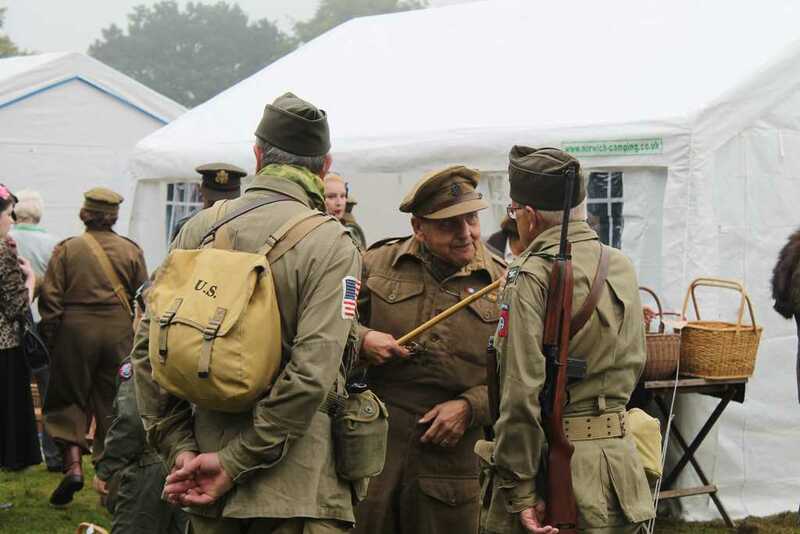 If you wish to book The Prairie for next year’s event, please click here for availability and prices.